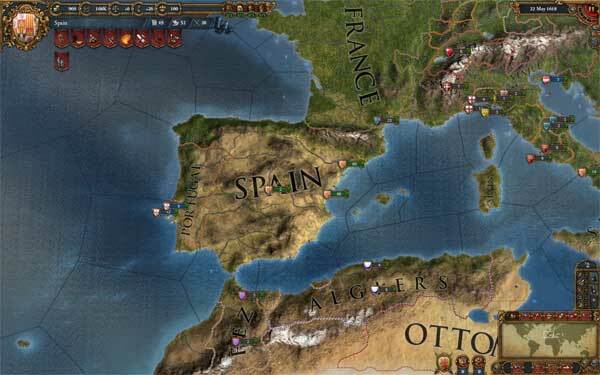 Europa Universalis IV is an upcoming strategy game from Paradox Studios and was one of three games previewed at the “Strategy is Our Game” Tour. Each of the games is still in development, but Impulse Gamer was invited to attend and preview the games to see how they are currently looking. 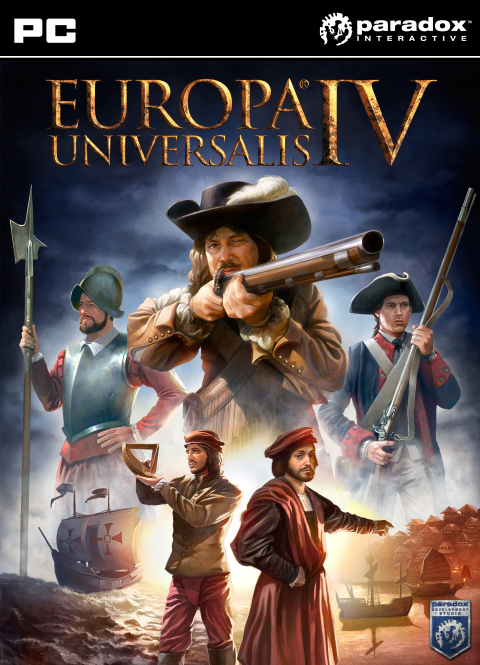 Like previous games in the series, Europa Universalis IV is a strategy war game that gives the player the freedom to pick from a large selection of countries and then sets them loose to have fun in the world. The game starts in 1440 and last roughly 400 years until the 1800s (a final time was not selected at the time of this preview). Players are free to choose a different starting time when they select their country and various bookmarks are set so that a player can start at key historical moments if they so choose. Once again players can choose any country to start with and then can choose to remake history or create their own time line. One thing I found interesting was the Cherokee, the Aztecs, and other Native American tribes are actually an option though the game definitely focuses mostly on Europe for obvious reasons. Nonetheless, the option exists for playthroughs if a player decides to try something new. Managing your country consist of managing four different factors: stability, power, money, and prestige. Each of these plays a different role with power and money being used for upgrading things and growing stronger, while stability helps determine how big a country can grow. Power, money, and prestige can all be gained in a multitude of ways be it through battle, trade, or diplomacy while stability is gained by dealing with rebels (be it peacefully, with violence, or paying them off). While rebels and revolts existed in past Paradox games, Europa Universalis IV decided to go all out and not only include rebels, but also distinguish between different types of rebels. Not everyone revolts for the same reason and different rebel groups will need to be handled in different ways and different rebels will do different things if they win. 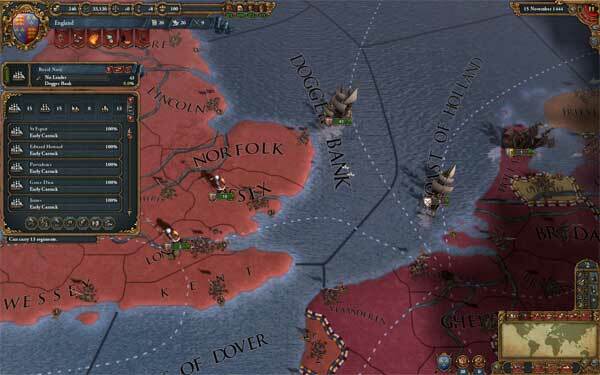 Europa Universalis IV features an ideas system which is similar to a talent tree. At different levels of development your country will be given the option to select from a list of ideas that help shape which way your country will go. Each idea features different talents and abilities that only countries of that idea can obtain. Some ideas that were previewed were religion, exploration, aristocratic, and many, many more. In addition these ideas also have historical versions so that players who follow history can find little historical events and special historical unlocks. Back in the 1400s, war wasn’t the only way to gain power and it isn’t the only way in Europa Universalis IV, in fact some could argue it isn’t even the best way to gain power. Europa Universalis IV features an in-depth diplomacy option which ranges from simple things like treaties all the way up to things like royal marriages. A leader is able to try and work out royal marriages and personal unions and other things in order to bind countries together and gain power and prestige that way. Diplomacy allows a person to make friends, gain favors, and discover reasons to go to war with their enemies. Of course, it wouldn’t be a very accurate game without a little political backstabbing and Europa Universalis IV doesn’t disappoint in that area either. Religion also plays a role and players are given a few options on how to handle it. On one hand, a country with a strict one religion policy will be able to gain a bit more power over the people, but will have a hard time mixing with other countries. Thus a player wants to balance their religion and their tolerance levels since the two are inversely proportional to each other. While the multiplayer wasn’t previewed and obviously mods were not out since the game is still in development, the developers assured me that the game would be completely moddable like their other games and the multiplayer would feature up to 32 players. 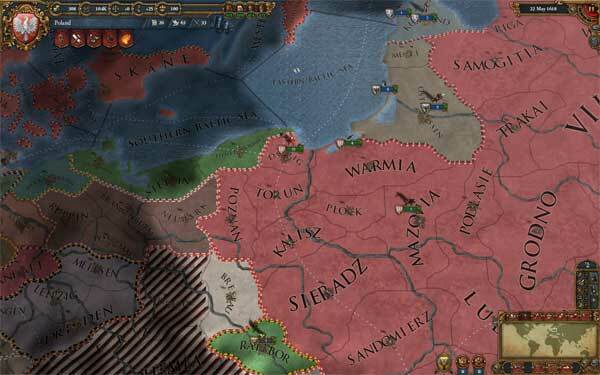 Overall, Europa Universalis IV gives players all the choices, freedom, and historical details that one would expect from a Paradox game while also including new features and upgrading the existing system. It takes the existing games and builds on them in order to make each game better than the last. The choices of war, peace, political backstabbing, trading, or exploring are all in your hands and the game lets you play how you want. It truly is a sandbox game and one that will keep players playing over and over again.